The Low-Down: Smart Speakers Will Talk To the Police and Vice Versa: Is That a Problem? Smart Speakers Will Talk To the Police and Vice Versa: Is That a Problem? "Sorry, officer, Alexa's just having a bad day." In the United Kingdom, Alexa is taking on a new role: sidekick to local police. With the “Latest News From Lancashire Police” skill, residents of Lancashire, in northwest England, can use their Echo devices to get updates from their local law enforcement, including images of wanted and missing people, safety notifications, and crime updates, the Intercept reports. “We think there is quite a lot of information people may prefer to get by asking Alexa,” Lancashire Chief Constable Andy Rhodes told TechSpot before the third-party Alexa skill debuted in January. The small number of reviews for the app, which adds information to your daily audio Flash Briefing, are positive. “What a great way to find out what’s been happening in my local area on a daily basis,” one reviewer wrote on Jan. 16. Police staff also use it for internal messaging. While the skill is currently a 21st-century town crier, it won’t stay that way. In the near future, Lancashire’s law enforcement hopes that citizens will be able to use it to file police reports—something that could make the task less arduous for residents while simultaneously easing up demands on police staff and resources. To that end, Lancashire County will reportedly store citizens’ crime reports on Amazon servers, rather than police-operated ones. The partnership between Alexa and the police has some security experts raising eyebrows. It serves as “a startling reminder of the growing reach that technology companies have into our daily lives, intimate habits, and vulnerable moments—with and without our permission,” David Murakami Wood, a scholar of surveillance, told the Intercept. Wood raises an important point: A precious few companies, such as Google, Apple, and Amazon, now have huge amounts of data and insights into our daily habits and behaviors. Do they need to be tied into one more aspect of our lives? This partnership with local law enforcement could also pose a risk to cybersecurity, as we can’t guarantee that third parties don’t have access to all or parts of the data Alexa gathers, consumer rights expert Sam Lester told the Intercept. And if something similar were implemented in the U.S., there could be concerns regarding how this affects our First Amendment rights. But while some are weary of the privacy implications of such a move, there’s reason to believe that police partnering with Amazon—and Alexa—could be a good thing. 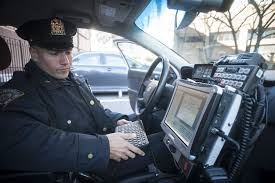 Law enforcement agencies have proven that digital security is not their forte. In 2015, the Electronic Frontier Foundation reported that in the U.S., more than 100 automated license-plate-recognition systems were insecure, exposing plate details and live footage online. Police have also abused their access to internal databases, an issue documented on multiple occasions. In other cases, officials have been lax about terminating former employees’ access to government systems. The need for increased digital security is paramount: Security researchers predict that police databases could become the target of widespread cyberattacks. (The case of the Democratic National Committee’s hacked email server comes to mind here—the DNC may have been better off had they been able to store their emails with Google or another cloud-based email provider.) The security of Amazon’s servers is at least as good—if not better—than those of local law enforcement agencies. U.S. spy agencies already trust Amazon with their data: In late 2017, Amazon debuted Amazon Web Services Secret Region, a cloud-storage program developed specifically for handling classified-level information for U.S. spy organizations. If it can handle that, surely it can handle our noise complaints and hit-and-run reports. Still, once stored by Amazon, there is the potential that other governments might try to get their hands on this data, Rochester Institute of Technology assistant professor of public policy and computing security Josephine Wolff says. There could also be concern with if and how Amazon might process or analyze data that comes through the Alexa platform. At this point, the details and implementation of Lancashire County’s full Alexa app are still vague, as it won’t be rolling out report filing as an opt-in feature until later this year. It will be important to continue to scrutinize these and other similar agreements between law enforcement and tech companies to ensure data and privacy are handled with the appropriate amount of sensitivity and care. From what we know about this case, it sounds like a positive step in streamlining what can be a tedious process and helping government agencies to run more efficiently.